The volunteer spirit and Tennessee, an inseparable combination since 1780 when Colonel John Sevier called for “100 good men” — and 200 answered — has been a source of pride for generations of Tennesseans. 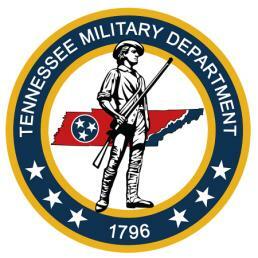 Today, that spirit is still alive and well with the more than 10,700 Soldiers of the Tennessee Army National Guard. They serve as full partners with active duty American men and women, worldwide, to make up the “Total Force” of American defense. America simply cannot defend herself or go to war without the National Guard. Tennessee is the home of the 278th Armored Cavalry Regiment, the 194th Engineer Brigade, the 30th Troop Command, and the 230th Sustainment Brigade. The Tennessee Air National Guard works with the United States Air Force and National Guard Bureau to deploy and conduct operations throughout the world. Tennessee has three flying wings – the 118th Wing, the 134th Air Refueling Wing, and the 164th Airlift Wing – as well as two geographically separated units in the Volunteer State.